Ability Text: Return target permanent to its owner's hand. 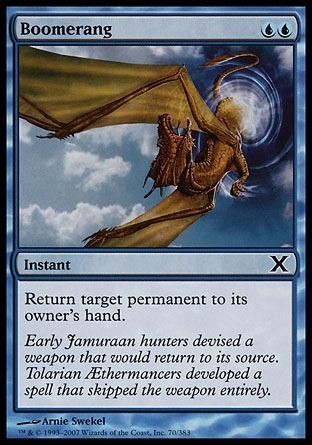 Flavor Text: Early Jamuraan hunters devised a weapon that would return to its source. TolarianAethermancers developed a spell that skipped the weapon entirely.